Harleigh loves nothing more than having a cuddle, most newborns are the same. Sometimes you have to put them down, especially when you have multiple children to also look after and a house to clean. I do have a wrap and love it but sometimes I don't want to have to wear Harleigh all the time. 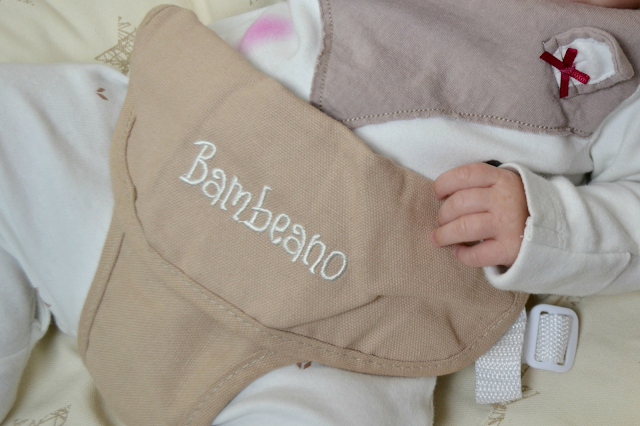 The Bambeano Baby beanbag is the perfect place to pop baby down for a while when you need a safe place. It is essentially just as it sounds, a beanbag for a baby. It is available in three different colours, pink, blue and natural. It also has a cute star pattern that features on all of the colours. The Bambeano has a 100% cotton cover, this means it is soft on precious baby skin and easy to clean. A must when you have a baby. 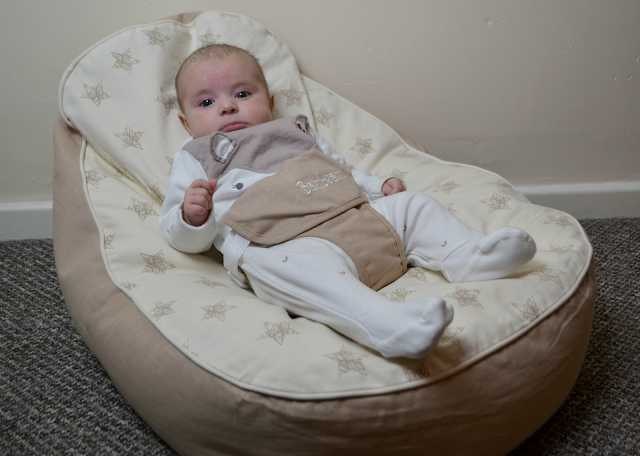 It also has a foam insert which makes the beanbag super comfortable and supported for baby. The expanded polystyrene beads also help create a lovely soft beanbag for baby to sit. You may be worrying about small beads around a baby but there is no need. Between baby and the inner beads there are three layers of safety zips to keep everyone nice and safe. There is a padded harness and safety clips to ensure that baby is secure at all times. 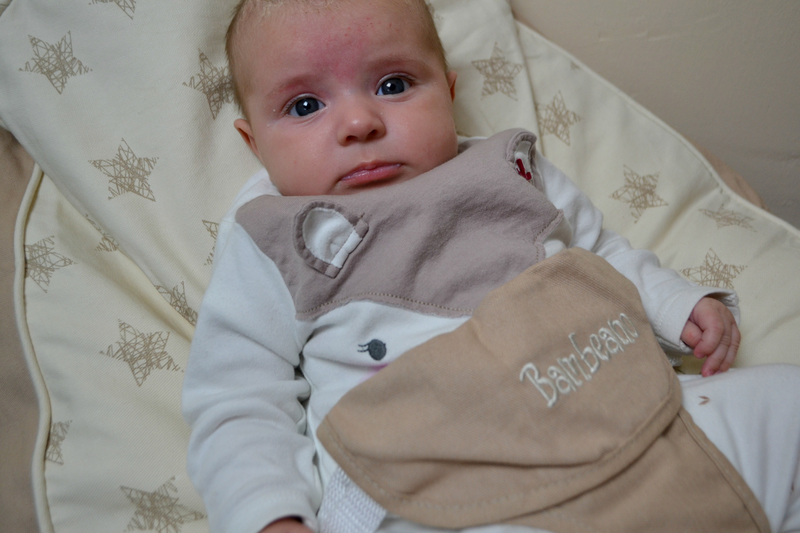 We've used our Bambeano from birth and Harleigh has liked it. I do find that sometimes she won't settle on it as well as a swing for instance, sometimes babies just need movement and the Bambeano can't provide that. Paige and Parker love having her sat on the Bambeano too as they can interact with her more and show her toys and she loves watching them play games around her. I love the position on the seat, it isn't completely laid down so Harleigh can still join in and watch what is going on. The Bambeano is a great size so will last until baby is a toddler. It isn't huge enough that it takes up half the living room though! It also looks nice and fits in with normal home décor. Would you ever consider buying a baby beanbag? Back rub your baby's gums when you feel like teeth or hard spots. This can give your baby some alleviation while you can see whether it is getting teeth.